The hike was a good one. 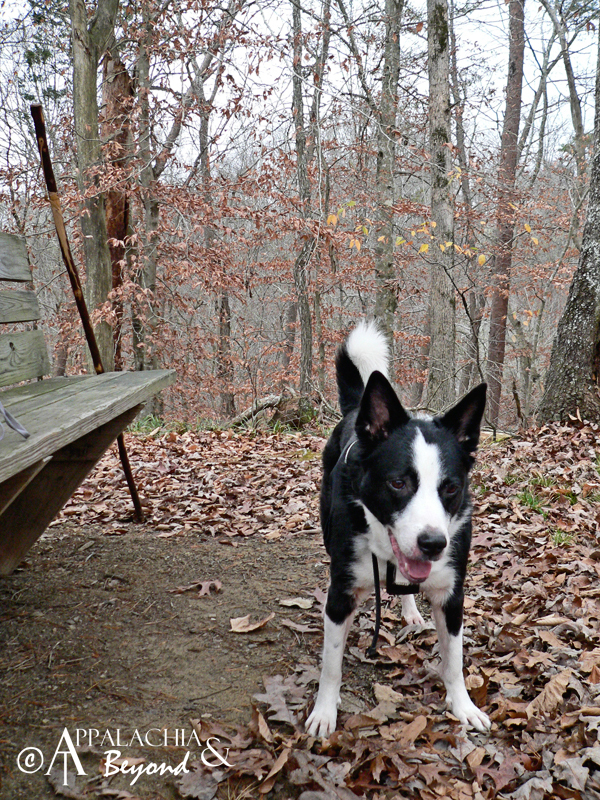 Clover and I started off on the Lake Trail. 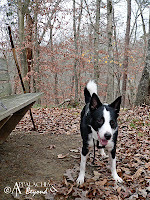 We took the detours off the Lake Trail for both Meditation Point and Loyston Overlook. Meditation Point offers a bench/gazebo for sitting and enjoying the view of Big Ridge Lake (the view of the lake is really only visible in the fall and winter after all the leaves are off the trees). 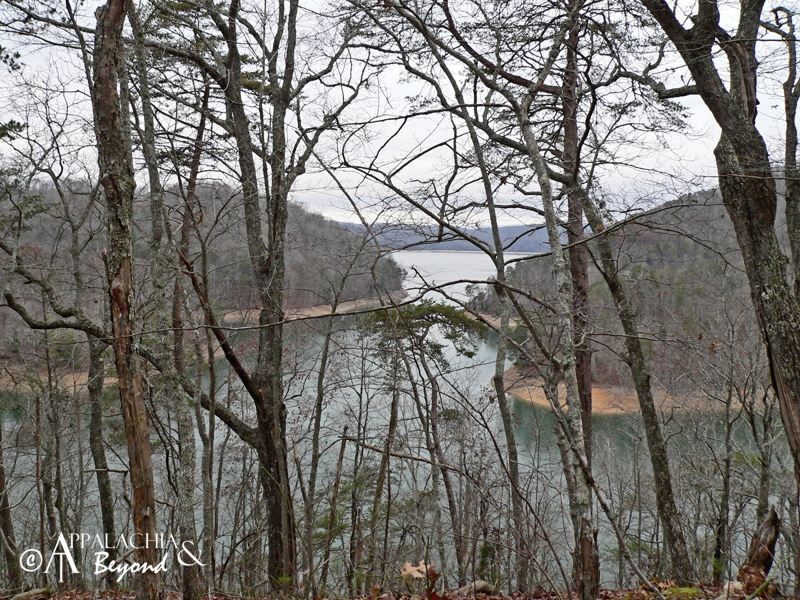 Loyston Overlook offers a grand view out to the Loyston Sea area of Norris Lake. 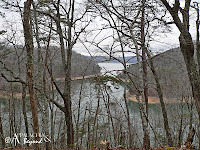 From there we continued on the Lake Trail and across the Big Ridge Dam (built in 1930 by the CCC) and rather than going right to continue the lake trail, we turned left and followed along side Norris Lake on the Dark Hollow West Trail. 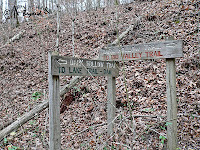 The Dark Hollow West Trail is approximately 1.7 miles from the dam to the junction with the Big Valley Trail. 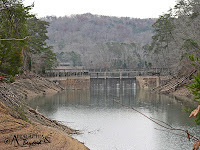 The trail follows along side Norris Lake when it first starts from the dam for a about .4 miles or so before turning away from the lake and into Dark Hollow. There's plenty of water fowl to be seen along this trail including herons and ducks. Just before turning off from the lake, on the ground at the left of the trail is a benchmark. 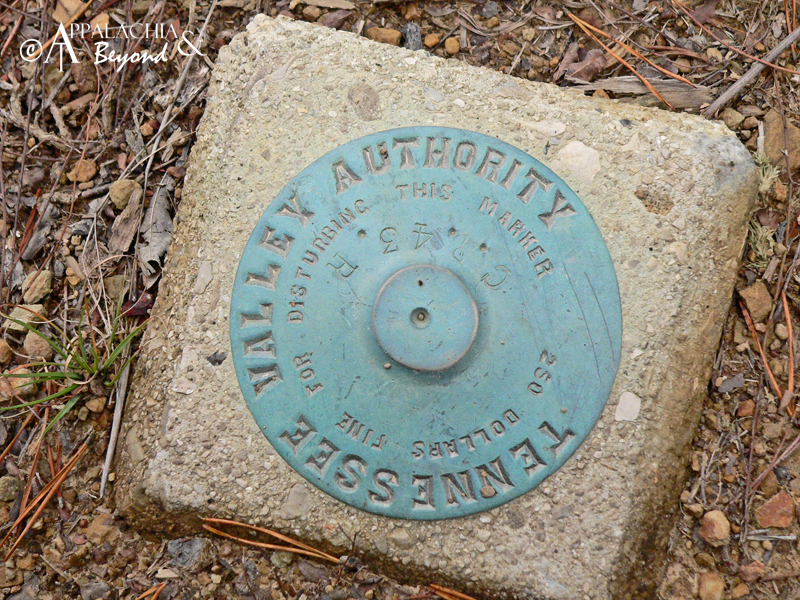 It's an old benchmark placed here by the TVA (Tennessee Valley Authority). For those who don't know, TVA is the big Energy company that supplies power to most of the Southeastern United States. 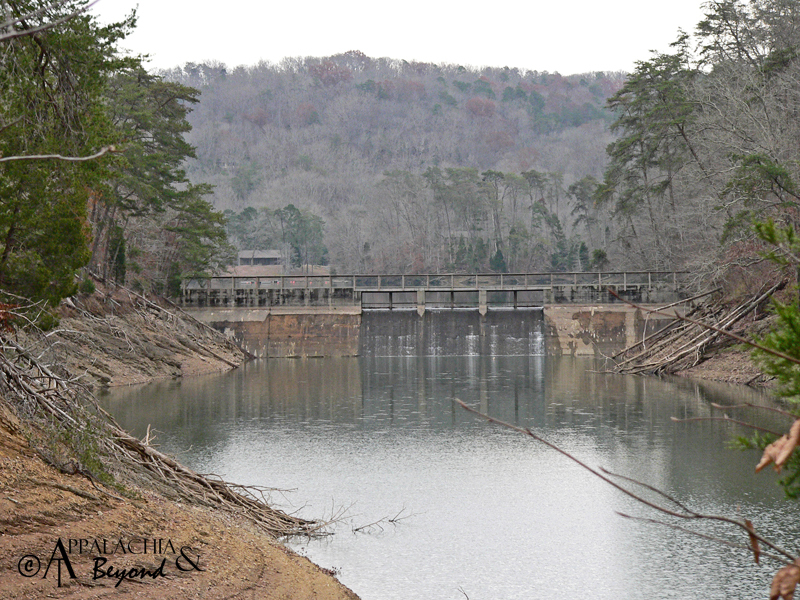 They were also responsible for having Big Ridge State Park built in the 1930's after the completion of the Norris Dam Reservoir. Soon after passing the benchmark, the trail turns from the lake and into a wide open valley where you can feel the presence of what used to be a bustling community of Pioneers and Settlers of the Old Loyston area. A small creek flows into the lake as the trail follows it through the valley between Pinnacle and Big Ridge. The wide openness of the valley soon begins to fade as you leave the lake behind you though. 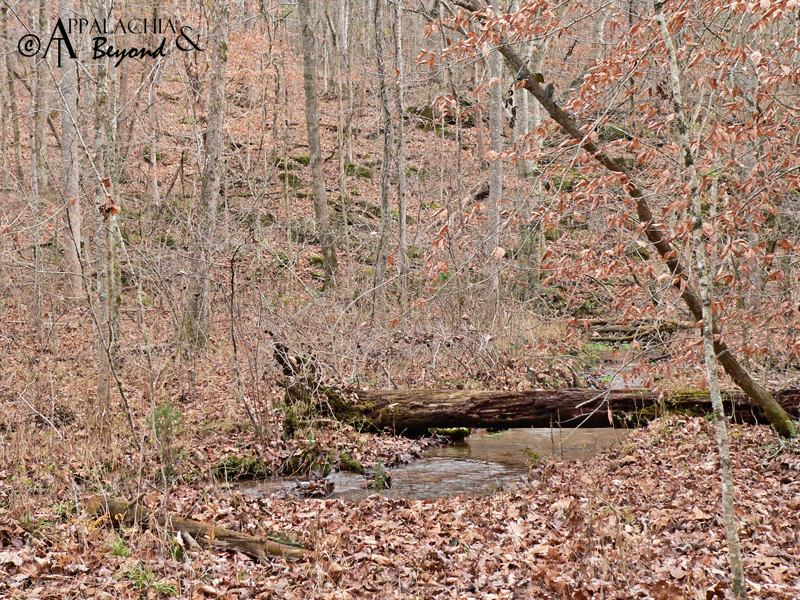 About .2 miles from the footbridge across the creek is the access point for the 1st backcountry campsite in the park. The campsite is quite nice. 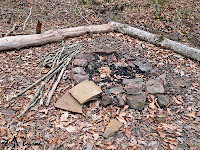 It offers good flat areas for tents, plenty of trees for hanging lines for clothes or tarps, and a fire pit with three logs surrounding providing ample sitting space around the campfire. 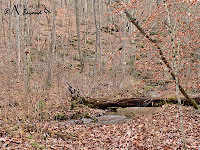 The creek along the trail provides and excellent water source as well. From here the Beene and I continued our hike towards the Big Valley trail. The trail from this point is pretty wide as this used to be an old wagon road that the settlers of the area used at one time. 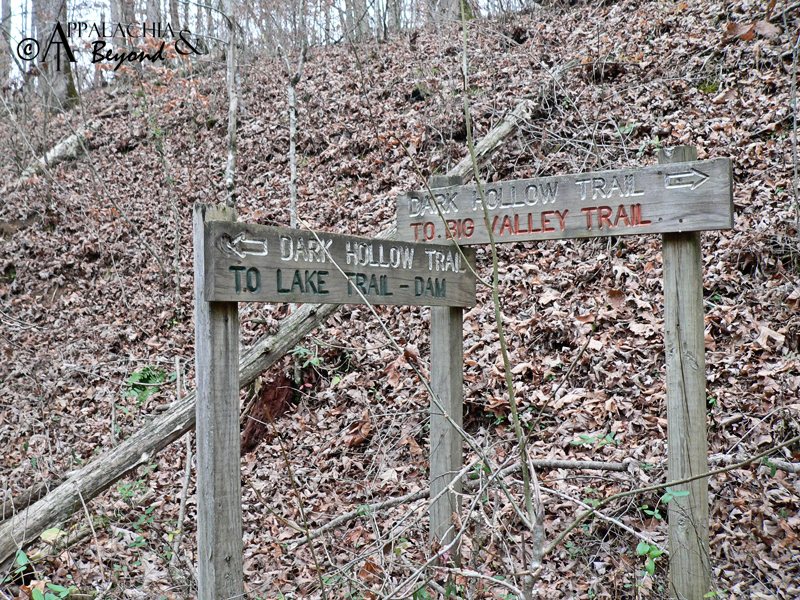 It seems as though the trail could go on forever but once you reach the Big Valley trail junction it then turns to Dark Hollow East trail and dead ends at Norris Lake again after about 1.3 miles. When we finally reached the junction, Clover and I took a few minutes to rest and for me to see what the weather was doing as rain had been forcasted for the day after 1pm. 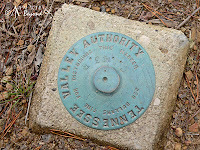 It was just after 11am and considering there were chores/tasks that had to be handled at the homestead, I decided to forgo the Indian Rock Loop and Sharps Station Trails and we headed down Big Valley towards Chestnut Ridge. Immediately after turning right onto Big Valley, the trail begins the ascent up Pinnacle ridge. While the elevation gain here is about 300+ ft. it is a bit steep and after 4 miles of hiking already, I was feeling it in my quads. Luckily it's a short climb and doesn't last very long. 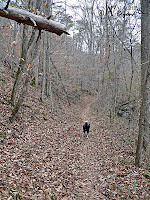 Clover and I cruised along the trail after the climb and enjoyed the time we had left on the trail. 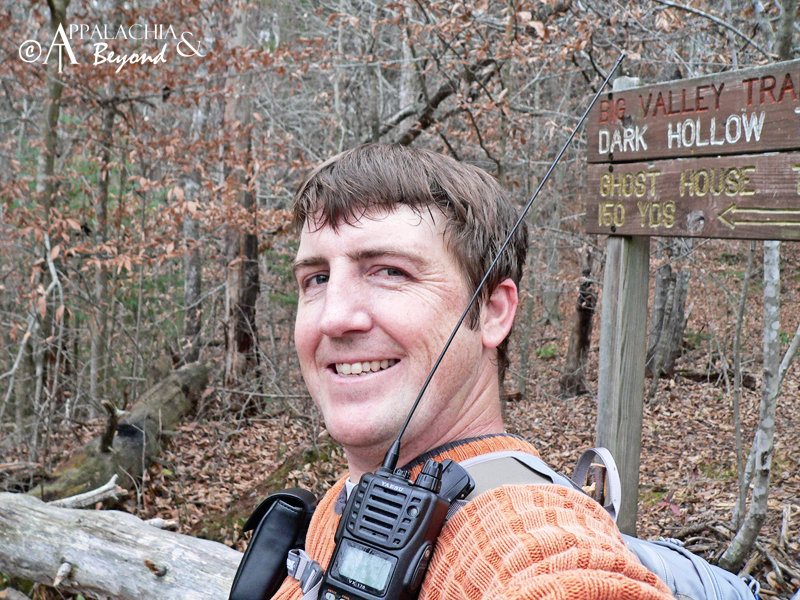 It wasn't long, maybe .4 miles from the Big Valley/Dark Hollow Junction, before we reached the trailhead for the Ghost House Loop. Clover wanted to go that way, but we opted instead to continue down Big Valley as it would dump us out on the road directly across from the Chestnut Ridge trailhead, another mile away. It's been almost a year since I was last on this trail, and it looked a bit different to me in spots. It appears that with some of the storms this year, the trail has been re-routed at certain spots due to lots of windfalls so if you are on the trail, be careful and keep your eyes open for the orange blazes and flags to find your way. It really isn't too difficult. 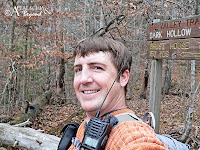 We finally reached the trailhead and continued across the street and on to the Chestnut Trail. 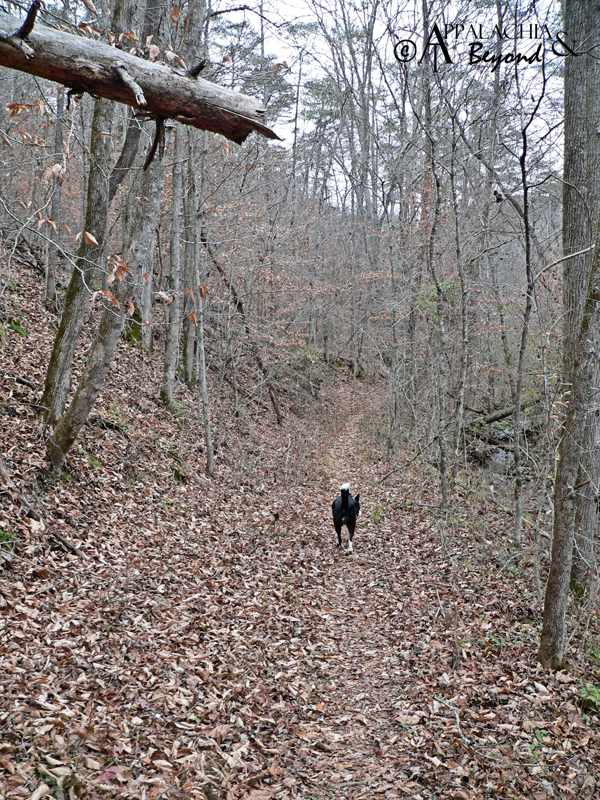 This trail is about .75 miles in length with about 190 ft. elevation gain. 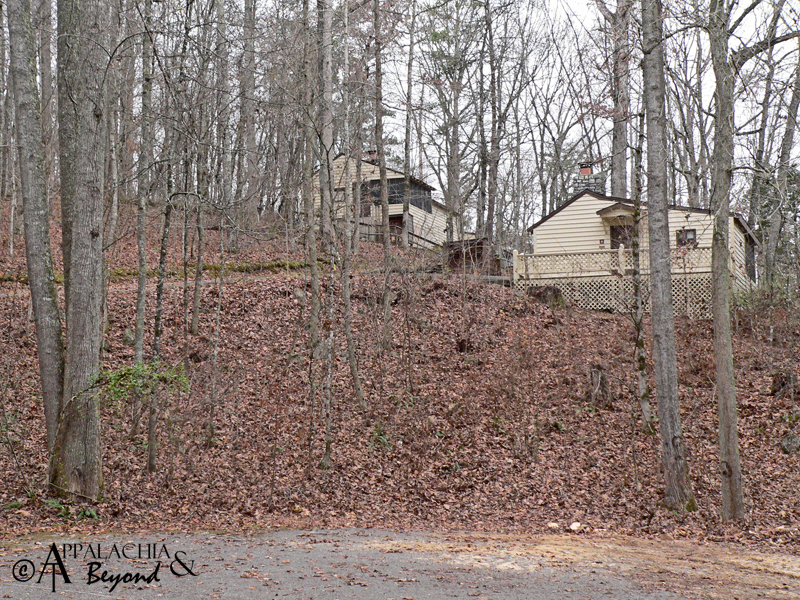 This is always a fun trail as it follows along side a small creek from the backside of the park and dumps you out in the cabin area up the ridge from the parks main road. I've been fond of this trail for quite a few years now, even though I haven't been on it in ages. I guess the fondness comes from the fact that Robin and I volunteered one weekend day a few years back to help the, now defunct, Friends of Big Ridge Park group do maintenance on this trail. We cleared blow downs, re-blazed the trail, and much more that day. 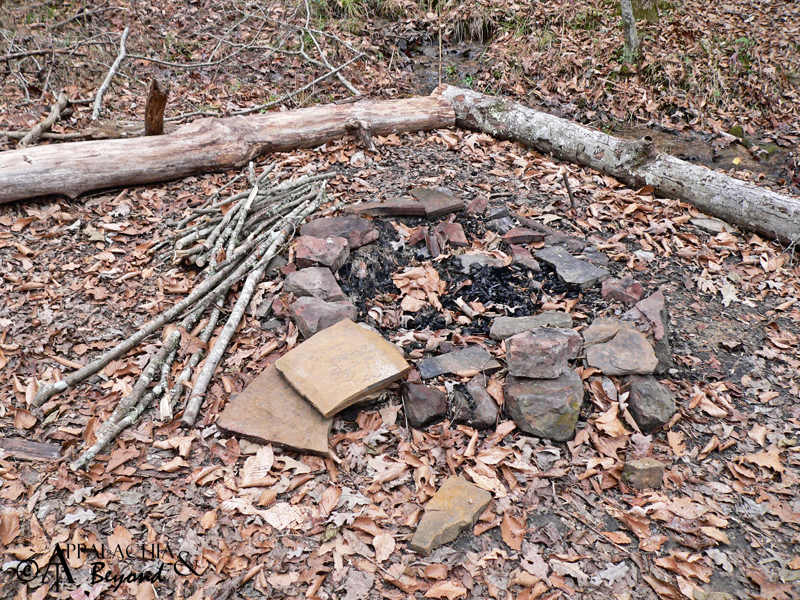 So to hike a trail you've had a hand in working on/maintaining always brings a certain sense of pride. This day's hike showed me that it's been a while since any work parties have been on it as it's getting a bit overgrown. On the top of the ridge however, you get a view of the park through the trees that you can only get in the fall/winter months. There's also water tanks up here to. I'll have to do some research, but I think it's the water supply for the Hinds Creek/Big Ridge area. 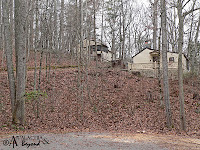 Past the water tanks, the trail heads down the ridge along an easement and then ends at the cabin road in front of a nice trailhead parking lot. From here Clover and I walked the cabin road down to the main road, through the picnic/boat dock parking area, passed the swimming area and to the car to head back home. We ended up with just shy of 6 miles for the day and a total elevation gain of over 1000ft with no climbs being more than 350 ft.
P.S. I promised Robin, after this hike, that I wouldn't go out on the trail without her ever again.